Naazim Richardson will not be working with Bernard Hopkins in his “final” fight – but will it matter? 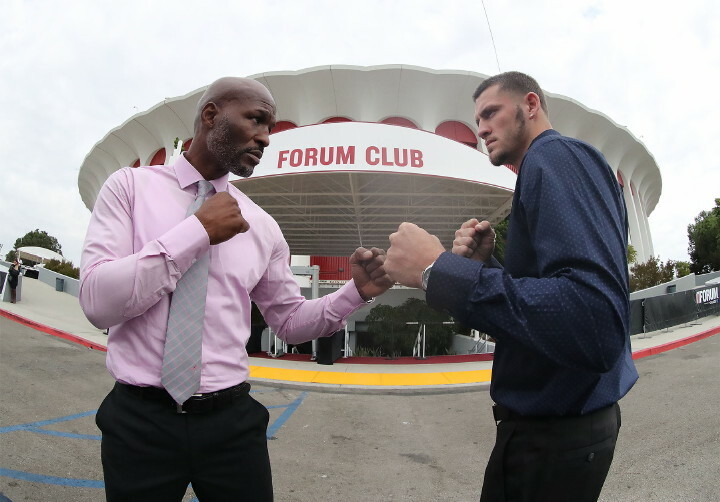 As fight fans know, the great Bernard Hopkins is fast approaching what he calls his final fight, against young and dangerous puncher Joe Smith Junior, who the amazing 51-year-old (52 in January) will fight on December 17th. Who knows if B-Hop, AKA The Alien, AKA The Executioner will really hang ’em up after the Smith fight, win or lose. But we do know that the Philly legend will not have his usual head trainer, of the past 11 years, in his corner for what is being billed as his swansong. RingTV.com reports how Naazim Richardson has not received his usual pre-fight phone call from Hopkins asking him to work with him in an upcoming fight. Richardson told Ring that he has not heard from Hopkins. Richardson added how he is not surprised by Hopkins’ move – to take on board former opponent and current Sergey Kovalev trainer John David Jackson instead of Naazim – as Hopkins has a history of having dropped trainers over the years. Still, Richardson says that even without his guidance and assistance Hopkins will get the win – his 56th against 7 losses and a couple of draws – next month. Over the years, certain great fighters, when letting their usual trainer go, have struggled in a fight and maybe, just maybe, Hopkins will kick himself for letting Richardson go if things get hot against Smith. Still, as Richardson says, a Hopkins win looks likely (although not by any means a forgone conclusion). But if he looks and feels like a million dollars, will the former middleweight and light-heavyweight king really call it quits on what has to be looked at as one of the most incredible careers in all of boxing? You are here: Home / Boxing News / Naazim Richardson will not be working with Bernard Hopkins in his “final” fight – but will it matter?